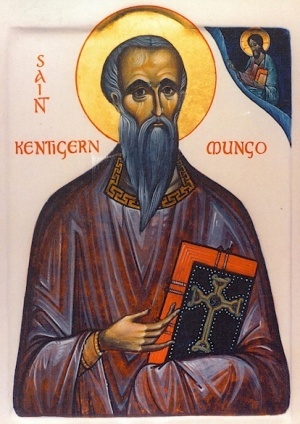 Today is the feast day of St Kentigern familiarly known as Mungo, an apostle of the Scottish kingdom of Strathclyde in the late 6th century, and the founder and patron saint of the city of Glasgow. In Wales and England, he is known by his birth and baptismal name Kentigern, but in Scotland, he is known by the pet name Mungo, possibly derived from the Cumbric equivalent of the Welsh: fy nghu ‘my dear (one)’. An ancient church in Bromfield is named after him, as are Crosthwaite Parish Church and some other churches in the northern part of Cumberland. 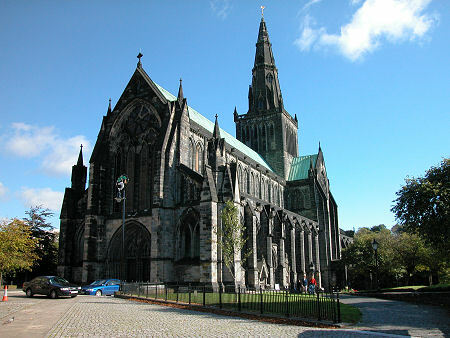 The Life of Saint Mungo was written by the monastic hagiographer Jocelyn of Furness in about 1185. Jocelin states that he rewrote the ‘life’ from an earlier Glasgow legend and an Old Irish document. There are two other medieval lives: the earlier partial life in the Cottonian manuscript now in the British Library, and the later Life, based on Jocelyn, by John of Tynemouth. Mungo’s mother Teneu was a princess, the daughter of King Lleuddun (Latin: Leudonus) who ruled a territory around what is now Lothian in Scotland, perhaps the kingdom of Gododdin in the Old North. She became pregnant after being raped by Owain mab Urien according to the British Library manuscript. However, other historic accounts claim Owain and Teneu (also known as Thaney) had a love affair whilst he was still married to his wife Penarwen and that her father, king Lot, separated the pair after she became pregnant. Later, allegedly, after Penarwen died, Tenue/Thaney returned to king Owain and the pair were able to marry before King Owain met his death battling Bernicia in 597. Her furious father had her thrown from the heights of Traprain Law. She survived and then was abandoned in a coracle in which she drifted across the River Forth to Culross in Fife where Mungo was born. 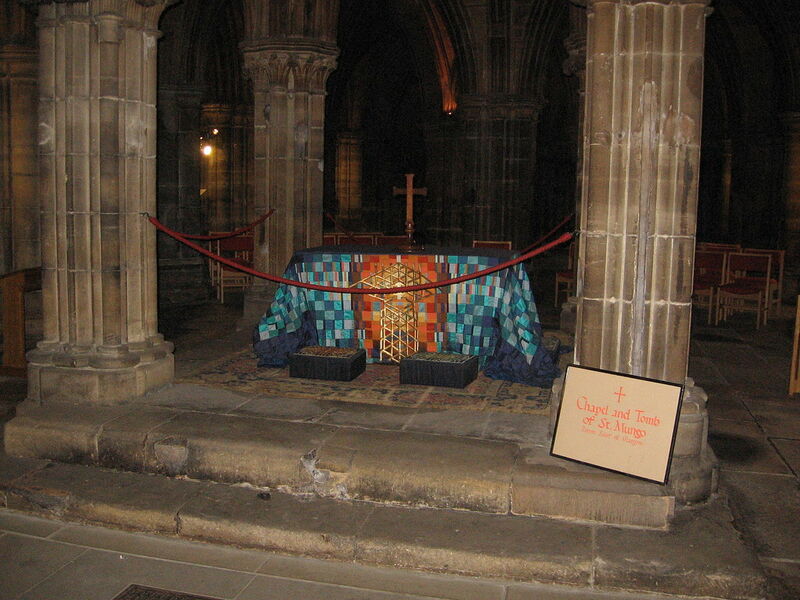 Mungo was brought up by Saint Serf who was ministering to the Picts in that area. It was Serf who gave him his popular pet-name. At the age of 25, Mungo began his missionary work on the Clyde, on the site of modern Glasgow. He built his church across the water from an extinct volcano, next to the Molendinar Burn, where the present medieval cathedral now stands. For 13 years, he worked in the district, living a most austere life in a small cell and making many converts by his holy example and his preaching. 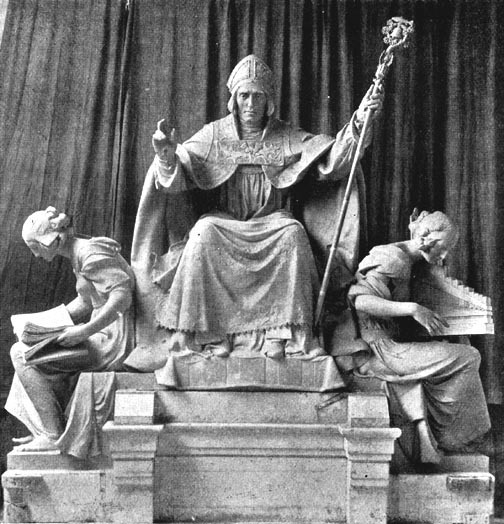 A strong anti-Christian movement in Strathclyde, headed by a king Morken, compelled Mungo to leave the district, and he retired to Wales, via Cumbria, staying for a time with Saint David at St David’s, and afterwards moving on to Gwynedd where he founded a cathedral at Llanelwy (St Asaph in English). While there, he undertook a pilgrimage to Rome. However, the new king of Strathclyde, Riderch Hael, invited Mungo to return to his kingdom. He decided to go and appointed Saint Asaph/Asaff as Bishop of Llanelwy in his place. For some years, Mungo fixed his episcopal seat at Hoddom in Dumfriesshire, evangelizing from there the district of Galloway. He eventually returned to Glasgow where a large community grew up around him. It was nearby, in Kilmacolm, that he was visited by St Columba, who was at that time working in Strathtay. The two saints embraced, held a long converse, and exchanged their pastoral staves. In old age, Mungo became very feeble and his chin had to be set in place with a bandage. He is said to have died in his bath, on Sunday 13th January. The Bird: Mungo restored life to a robin, that had been killed by some of his classmates. The Tree: Mungo had been left in charge of a fire in Saint Serf’s monastery. He fell asleep and the fire went out. Taking a hazel branch, he restarted the fire. The Bell: the bell is thought to have been brought by Mungo from Rome. It was said to have been used in services and to mourn the deceased. The original bell no longer exists, and a replacement, created in the 1640s, is now on display in Glasgow. Mungo’s ancestry is recorded in the Bonedd y Saint. His father, Owain was a King of Rheged. His maternal grandfather, Lleuddun, was probably a King of the Gododdin; Lothian was named after him. There seems little reason to doubt that Mungo was one of the first evangelists of Strathclyde, under the patronage of king Rhiderch Hael, and probably became the first bishop of Glasgow. Jocelin seems to have altered parts of the original life that he did not understand; while adding others, like the trip to Rome, that served his own purposes, largely the promotion of the bishopric of Glasgow. Some new parts may have been collected from genuine local stories, particularly those of Mungo’s work in Cumbria. Mungo’s associations with St Asaph were a Norman invention. However, in Scotland, excavations at Hoddom have brought confirmation of early Christian activity there, uncovering a late 6th-century stone baptistery. Details of Mungo’s infirmity have a ring of authenticity about them. The year of Mungo’s death is sometimes given as 603, but is recorded in the Annales Cambriae as 612. 13th January was a Sunday in both 603 and 614. David McRoberts has argued that his death in the bath is a garbled version of his collapse during a baptismal service. In a late 15th-century fragmentary manuscript generally called ‘Lailoken and Kentigern’, Mungo appears in conflict with the mad prophet, Lailoken alias Merlin. Lailoken’s appearance at the Battle of Arfderydd in 573 has led to a connection being made between this battle, the rise of Riderch Hael and the return of Mungo to Strathclyde. On the spot where Mungo was buried now stands the cathedral dedicated in his honor. His shrine was a great center of Christian pilgrimage until the Scottish Reformation. His remains are said to still rest in the crypt. A spring called “St. Mungo’s Well” lay eastwards from the apse. 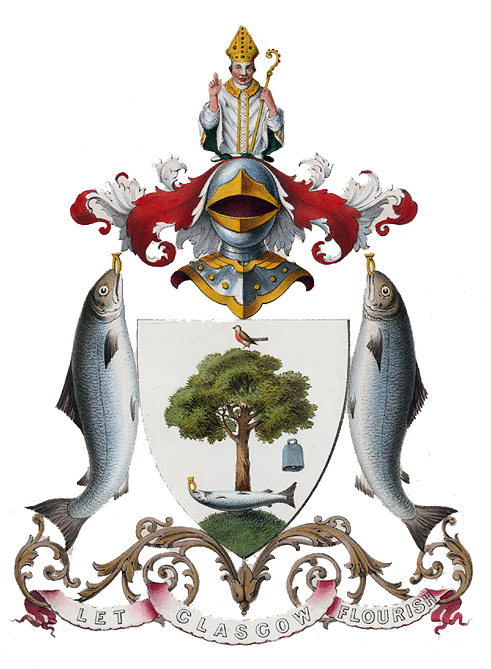 Mungo’s four religious miracles in Glasgow are represented in the city’s coat of arms. 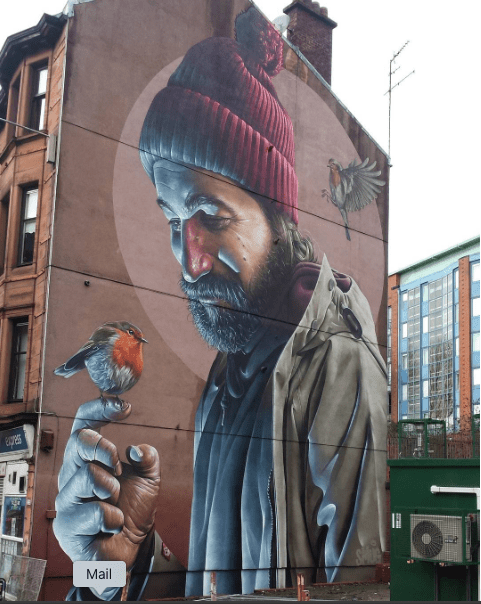 Glasgow’s current motto “Let Glasgow flourish by the preaching of His word and the praising of His name” and the more secular, shortened, “Let Glasgow flourish,” are both inspired by Mungo’s original call “Let Glasgow flourish by the preaching of the word”. 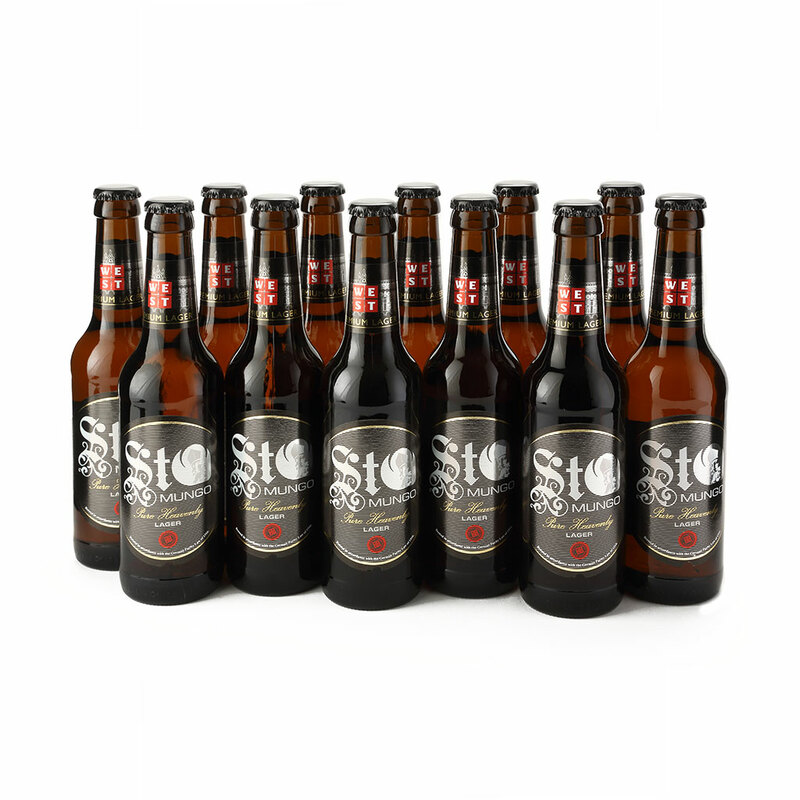 There is a beer called St Mungo brewed by West Brewing Co. in Glasgow, which, despite the name, is a Munich style lager. I suppose you could do something with this in a recipe to celebrate the day. I’m going to go with Dunfillan bramble pudding, which I have had in Glasgow once when visiting relatives. Brambles are any fruit from thorny bramble bushes, but blackberries are the usual ones. Wild picked are best. Place the fruit in a pie dish with a little water, and bake for 25 minutes. Cream the butter and sugar in a stand mixer. Add the egg and milk and continue to beat. Stir in the flour, a pinch of salt and the baking powder. Beat on low to make a smooth batter. Add the lemon rind. Take the fruit from the oven. 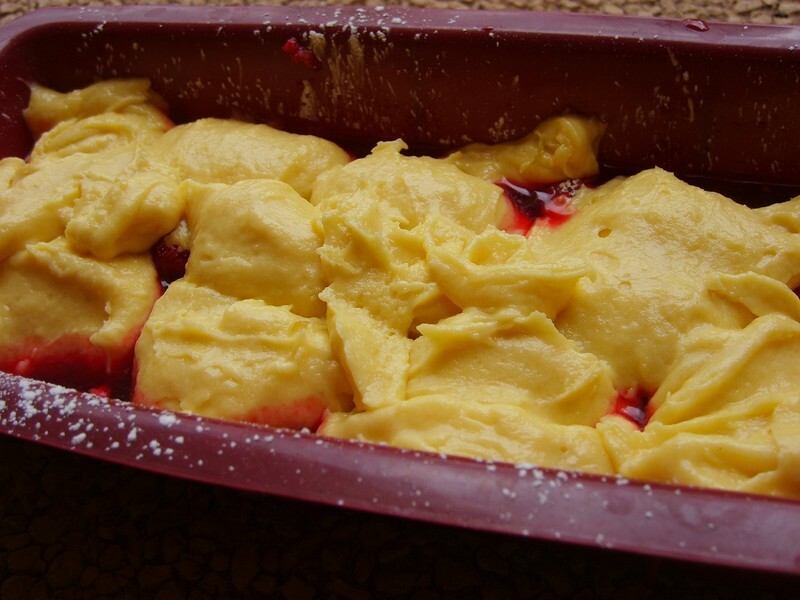 Pour the batter evenly over the fruit and spread it smoothly and evenly. Some paste will sink into the fruit. Bake in the oven for 35 minutes until golden. Serve warm.